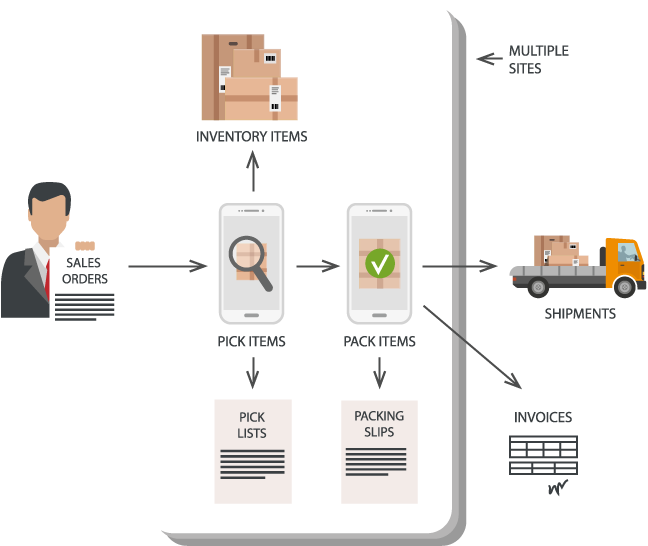 HandiFox™ is a leading inventory control and sales management solution that allows small and medium businesses to automate their sales, manage the supply chain pipeline and do sales in the field on mobile devices. The solution presents a robust set of features on an easy-to-use mobile platform with a scanner. Businesses that currently use HandiFox™ were able to significantly cut costs, increase operational transparency and focus on growing their business. HandiFox™ brings barcoding to all parts of your workflow, speeding up routine inventory operations and eliminating costly human errors. The mobile barcode scanning capabilities built into our software allow warehouse and field workers to easily and quickly scan items, populate sales orders, invoices, and to pick and pack ordered items. 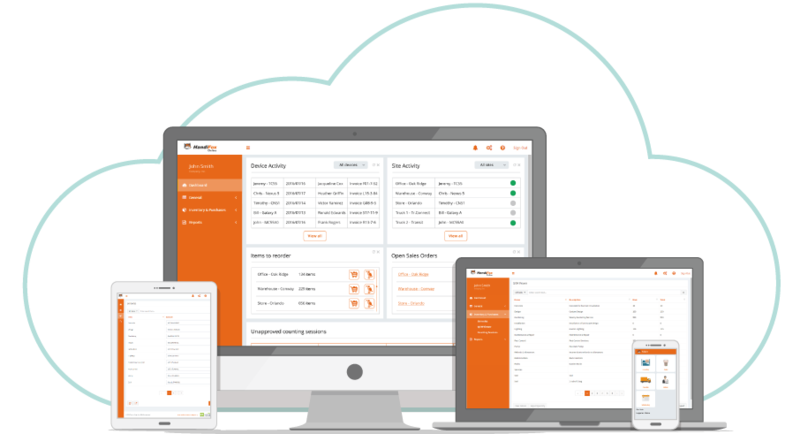 HandiFox™ mobile sales management software provides a powerful tool for operators working in the field. 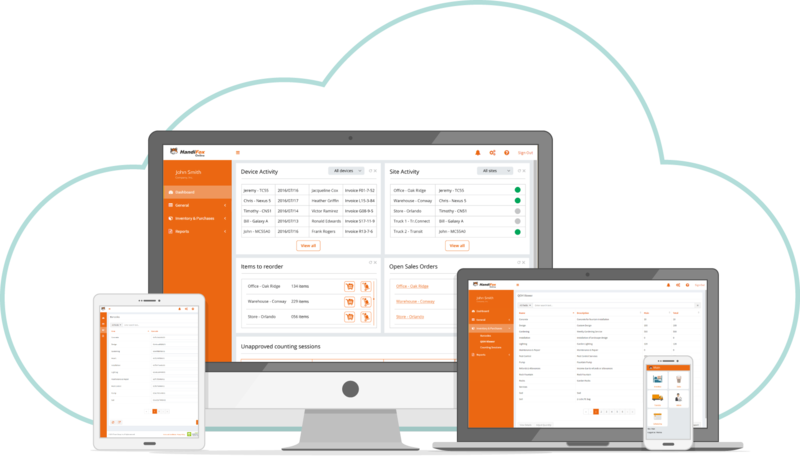 With a range of capabilities including sales orders, invoices, sales receipts, credit memos & payments, reviewing and editing customer information, and many more, HandiFox™ Sales is a powerhouse mobile sales management solution. When inventory is spread across several physical locations, simply tracking total quantities on hand is often not good enough. You need detailed information about not just the total number of items inventoried, but also their location, and quantities relative to each location. With HandiFox™, that's exactly what you get. 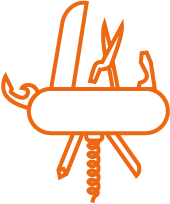 With HandiFox™, automating inventory management has never been easier. Utilizing mobile computers and barcodes, our inventory management software simplifies your business process, making transparency and control easier than ever before - even across multiple sites. HandiFox™ Online works in the cloud with QuickBooks Online, adding multi-location, sales orders, inventory counting, picking & packing, barcoding and a lot more. 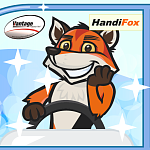 HandiFox™ Online lets you be on the top of your inventory management anytime, anywhere. HandiFox™ Desktop was created as a seamless extension of QuickBooks Desktop to provide small businesses with a powerful inventory control tool and a chance to send inventory data from multiple locations to your QuickBooks Desktop in the office in real time. HandiFox™ is a no brainer! It does not require any special training. Price wise, HandiFox™ is way down below its competitors. “Reasonably priced, Handifox was perfect for my growing small business needs”. Proactive service and prompt issue resolution. Highest ratings in reviews. All businesses no matter how big or small are all in need of an inventory management system that works for their business model. 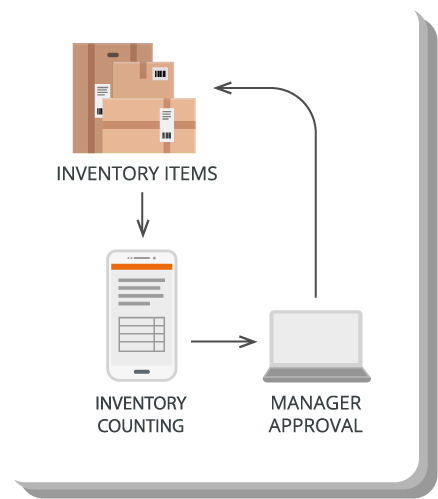 HandiFox™ software allows for the best solution for not only managing inventory but also sales in order to cut losses for any business. 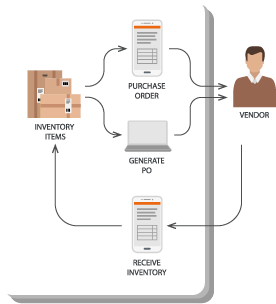 Our solution helps connect each aspect of your business in order to manage inventory in the most efficient manner. Receive items from your suppliers on HandiFox™ devices using a barcode scanner. Automate your inventory counts using a barcode scanner to quickly find items and enter quantities on hand. 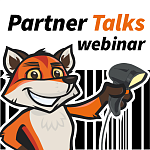 Create pick lists/packing slips in a handheld device and scan barcodes to confirm items. 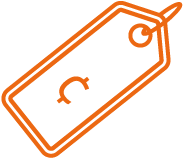 Automatically create invoices for shipments. 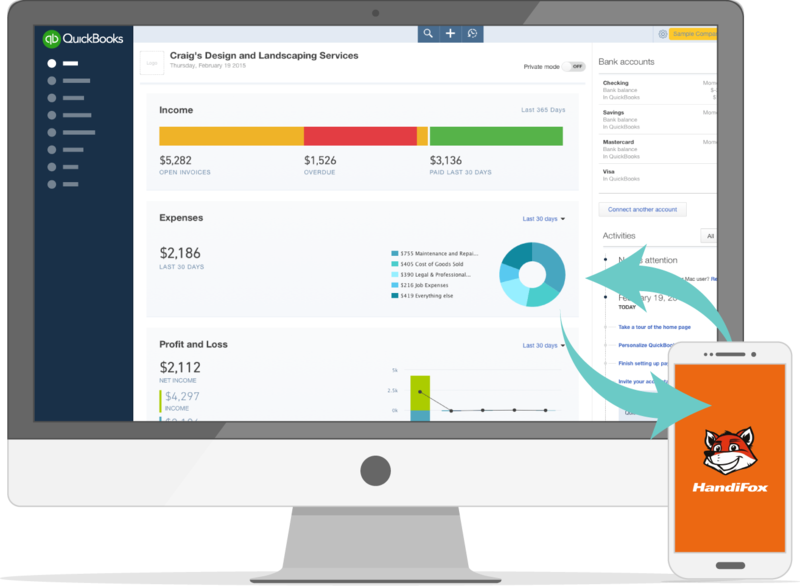 Create Sales Orders and Invoices on a handheld device at the customer's location and sync to QuickBooks over WiFi or Internet. We Can Do All These Functions! 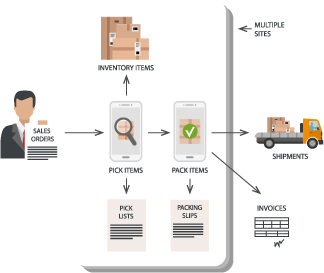 HandiFox™ inventory tracking software maximizes accuracy of shipments from your warehouse. 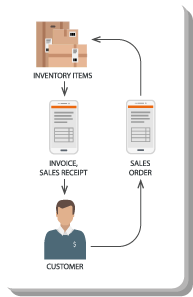 On the HandiFox™ handheld computer, simply pull up the Purchase Order which you generated in QuickBooks. No need to spend extra time on searching through item lists. Using the built-in barcode scanner on the device or a wireless Bluetooth barcode scanner, you can scan items in the shipment, which will highlight each one on the handheld screen. You enter the number received by using the keyboard, or pressing the scan button multiple times. The results are saved in the handheld, and sent to QuickBooks at the next synchronization. 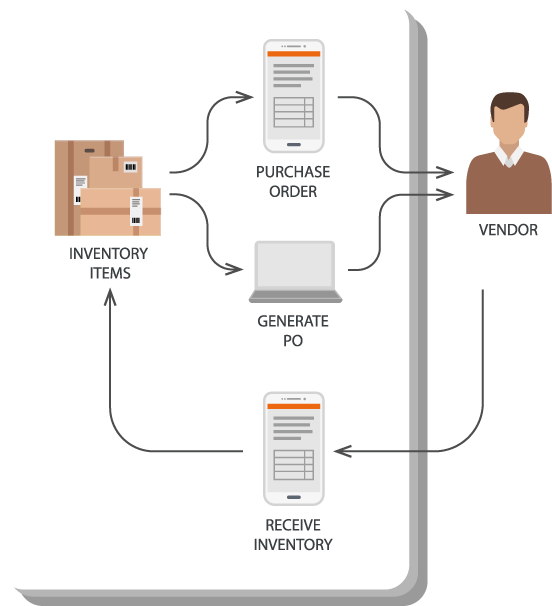 HandiFox software can generate Purchase Orders to replenish inventory for each inventory site or for all sites at the same time. HandiFox™ provides you with an inexpensive way to put controls on your inventory and perform the task of inventory counting faster, with increased accuracy. Inventory counters are provided with a complete list of items on their handheld computers. To speed up the process, you can use multiple devices to have several operators count inventory at different areas simultaneously. They can find items by scanning or searching the list. Once the item is found, they can enter the count by the keyboard or pressing the scan button multiple times. Our software allows you to keep track of inventory movements from one site to another using transfers created within HandiFox™. HandiFox™ makes mobile sales exciting and easy! 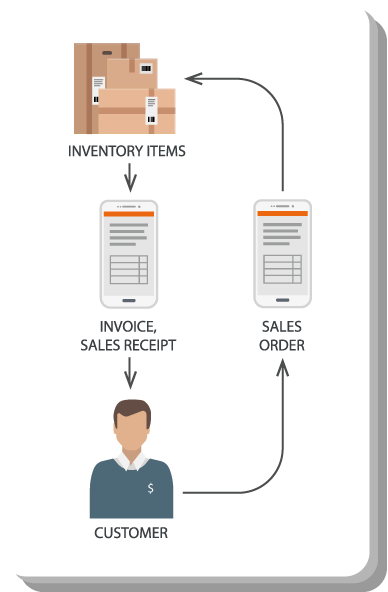 Sales orders can be generated on a mobile device and made available in QuickBooks simply by synchronizing. Items can be entered by manually typing in the name, selecting from a list, or scanning a barcode. HandiFox™ allows you to check inventory levels for desired items and will even show a warning if there's not enough of an item on hand. 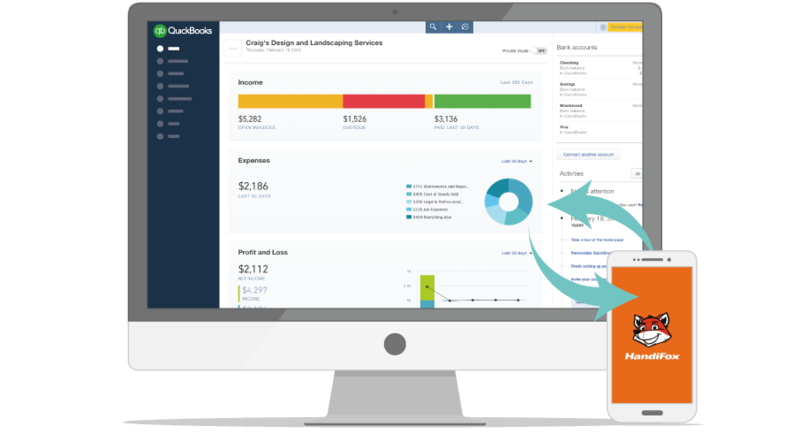 Your customers can sign invoices using your device's touch screen. Payments from customers can be received on the mobile app from any location, and received amounts can be applied to open invoices or left as customer credit. 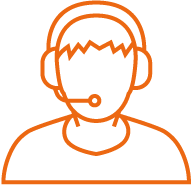 We will be more than happy to walk you through our product’s capabilities and give detailed answers to whatever questions you might still have. Use this video to see HandiFox™ in action and become more familiar with the product.